So you have gotten yourself a new, very large house and it is time to begin furnishing it. However, your old furniture and electronics do not really fit in with the new place. For one, they are extremely small for the massive amount of open space you now have to fill. One of the primary fixtures of most living rooms is a television. You 50 to 60-inch television was fine for your old residence, but it just looks too small now. It is dwarfed by the enormous room. Maybe you are trying to turn your downstairs basement into a family center. Regardless the reason, you have decided you need a new television and not just any television. You need a television that fits with space or accommodates the specific needs you have. 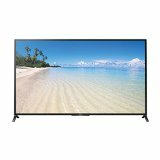 That is why we have assembled 10 of the best 70-inch television sets out on the market, so that you can finally feel like your new home or renovated room fits its dimensions or suits its needs. However, not all 70-inch television sets are created equally, and depending on your needs, some may provide or lack the necessary features you are looking for. Moreover, the difference between the cost of your old television set and the increase with the new one can cause most people to have sticker shock. There are three primary things to consider before making the plunge and getting a truly monstrous television set for your house. This is actually a two-part consideration. First, you need to make sure that the television has enough distance between you to be viewed comfortable and, most importantly, safely for extended periods of time. Moreover, this distance is directly impacted by the screen resolution of your screen. The better the picture quality, the less distance between you and the screen is required. For televisions with a resolution of 1080p, you will need a minimum of 10 feet of distance between you and screen. This is not necessarily an easy task, even for homes with large rooms or basements. The second consideration is a bit more obvious but just as important—and often overlooked. You need to make sure that the walls in the room the television is be placed in can accommodate the gigantic size of the set. This is a bit like when your IT guy tells you to check to see if the computer is plugged in. You would be surprised how often this is an issue, because someone saw a television too large for their space but fell in love with it anyway. Each television set is going to come with its own set of bells and whistles. Depending on how you plan to use your television will determine which of those bells and whistles are more or less necessary for you. If you plan on using your television to stream movies or videos, it might be a good idea for it to connect to the internet. This will save you the hassle of having to purchase a separate dongle, control box, or even having to connect your PC to the television set. Also, with the rise of 3D movies, this may be a feature that factors into your purchase. Some people cannot handle 3D technology and become nauseous after watching 3D movies for even a short time. However, other people do not suffer from the same sense of vertigo that 3D films can inspire some and swear by the immersive quality of the experience. Regardless, not all 70-inch television sets are able to play movies in 3D. So if this is a factor, you will definitely want to do your homework. Time stands still for no man, and this adage is doubly true when it comes to technology. 4K is the pinnacle of consumer television resolution, but it may not be necessary depending on your needs. 4K boasts 4 times as many pixels as the standard 1080p, but for most people’s needs, you will not really notice the difference. However, if you plan of watching 3D movies or play video games at the maximum settings, the 4K setting may provide a better experience for you. Another factor to consider is the amount of space you have. 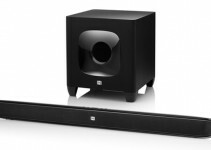 As mentioned earlier, 1080p requires a minimum of 10 feet of distance between you and the television set. If you do not have much open floor space, but can still accommodate a 70 inch televisions wall space demands, then opting for the 4K resolution may be a practical choice as opposed to a qualitative one. However, it should be noted that 4K programming has not quite yet caught up with the display capabilities, so your options of using the better resolution will be more limited when compared to the ubiquitous 1080p. This television set has it all. First, it offers 4K resolution which can come in handy. This allows you to be seated much closer to the television set without having to sacrifice viewing quality. And that increased viewing quality will come in handy if you are a fan of 3D programming, because the Sony is also compatible with that technology. Now, you will be able to watch your favorite 3D films up close for a doubly immersive effect. As an added bonus, the Sony even comes with 2 3D glasses. Moreover, the 4K resolution also provides a screaming fast 120hz refresh rate. That means the television is capable of displaying 120 frames per second. However, the Sony is not yet finished. 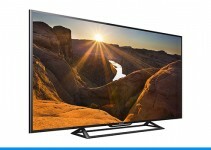 If you are a streaming fan, then you are in luck, because this television also provides smart connections to the internet. You can connect to Netflix, Hulu, Amazon Video or any of the other streaming services available. Still, you are not merely limited to streaming services as the Sony offers general internet surfing through their integrated web browser Opera. You also have the option of controlling your cable box through the Sony’s IR Blaster, and the whole set can be controlled with an included touchpad remote. Its sleek design and LED backlighting also give this television set a sleek, modern look. This is truly an impressive television, and Sony has certainly outdone themselves. The LG is an excellent model, but it does not offer quite the number of features as the previous Sony. For one, it only comes in standard 1080p HD resolution. However, that is not necessarily a problem, especially if you do not watch 3D programming and have the extra space to accommodate the required viewing distance. However, this LG does provide a 3D viewing experience which is not, but it will not present the 3D programming at as quite a good resolution as a 4K television. Still, the LG is also a Smart TV and provides all the access to the streaming sites you binge on. Moreover, the remote is designed to be used for surfing the internet on its integrated WebOS. Of course, this feature is not quite as convenient as the aforementioned Sony with its touch pad remote. But with 2 free pairs of passive 3D glasses that do not require batteries, this is still a quality television. With a metallic bezel finish, this may not be the most advanced 70-inch television, but you probably will not be able to tell the difference. This television is a bit like a hybrid of the first and second entries on this list. Like the other Sony this television offers most of the same features. 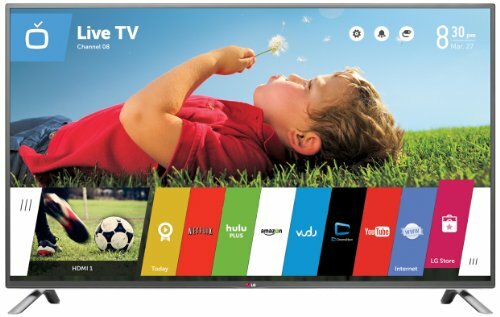 It comes standard with the Smart TV hookups, so you still get all of your favorite streaming. The browser you use for general surfing is also Opera. The television will allow you watch all of your favorite 3D programming, and the 120 Hz refresh rate ensures you still get 120 frames per second. However, this Sony only displays at the standard 1080p resolution. That means that, much like the first LG, your 3D viewing experience will not be quite as good as if you had 4K resolution. Moreover, you will still need the extra three feet of distance between you and the screen that the 70 inch 1080 p televisions require. Still, this Sony does come with the IR Blaster so you can control your cable box with the television remote. It also comes with a free pair of 3D glasses. Another feature the first Sony has over this one, is that this model does not come with the convenient touchpad remote—though ha standard remote is included. 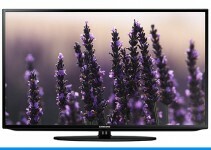 This is Vizio’s first entry on the list and it is a nice television set. Though, it does not come with nearly as many features as either of the Sony’s nor the LG. However, it is still a solid 70-inch television set worthy of purchase. This television comes in the standard 1080p resolution, but it is the first of this round up that does not offer 3D viewing. The Vizio does attempt to make up for the lack of 3D or 4K options with twice the refresh rate of the 3 previous sets. At 240hz, this television will not miss a frame and can be exceptionally good for PC gamers who have a maxed out rig and want to play on the highest settings. This enhanced refresh rate is also great for sports fans who want to catch every detail of the action. Moreover, this television has built-in high-speed Wi-Fi, so can connect to the internet or your favorite streaming sites. Sharp’s first entry is similar to the previous Vizio. It only offers 1080p resolution, but attempts to make up for it with the 240 Hz refresh rate that will likewise make it excellent for watching quick-action sports or playing PC games at their highest settings. It boasts Smart TV functioning and even comes preinstalled with its own SmartCentral 3.0 to help guide you and use the available apps. One feature the Sharp has over the Vizio is that it can play 3D programming, but like the other 1080p resolutions with 3D, will not do so at the very best quality when compared to 4K. To be fair, this television is one of the barest bones in terms of features. However, it still provides quality 1080p HD resolution. Moreover, its 240 Hz refresh rate allows you keep track of the action while watching fast-paced sports or playing ultra-high settings on video games. Though, the resolution does put a bit of a ceiling on those two activities when compared to 4K. 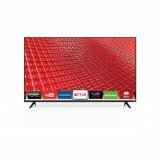 But quite simply, you cannot beat the price of this television set which is anywhere from 50 percent to 20 percent the cost of most of the other entries on this list. The basic functioning at an affordable cost alone makes this a worthy selection. This Vizio differs from the others in that it comes with 4K resolution. Unfortunately, it does not also come with the ability to play 3D programming which seems like a real missed opportunity. With only one television that offers both 4K resolution and playing 3D, it seems like there is ample room in the market for competition. Regardless, like the other Vizio models, this one boasts a 240 Hz refresh rate, which actually places it a step above the first Sony on this list in terms of playing video games at the highest settings or watching fast, action-packed sports. The second Sharp on the list, this is a solid television set that does everything well without doing anything great. The 1080p HD resolution is absent 3D programming and the standard 120 Hz refresh is not as impressive as some of the other entries on the list, but it does have the option of a virtual 240 Hz refresh rate. The built-in Wi-Fi ensures that you always have access to your favorite streaming services. This television set is exceptionally thin which gives it a nice, smart look at just under ½ inch thick. In terms of features, this Sharp does not disappoint, but it is also 3 years old. Regardless, the 1080p HD resolution also comes equipped with the ability to display 3D programming. Moreover, the AQUOS LED display was specially designed to ensure that all scenes, no matter how darkly lit, can still be seen and the details distinguished. The 240 Hz refresh rate comes standard with the option to increase to a virtual 480 Hz refresh rate—the most out of all the entries on this list. The SmartCentral enables quick and easy internet connection for streaming services and other app use. 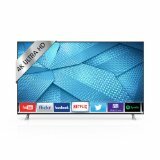 The Vizio E70-C3 is a solid and reliable Smart TV, and is entry level and basic in terms of its SmartTV capabilities. It will provide you with everything you need from a TV, without having to pay for all the bells and whistles of other more expensive models on the market. Beautifully designed, the Vizio E70-C3 comes from a long line of well designed products. This particular model is nice and thin and will sit nicely on a TV unit or will hang nicely on the wall. It’s super easy to move around if need be. The TV is compatible with most devices that you might want to use with it and is extremely versatile. The picture isn’t market leading but it is really good for multi-purpose viewing such as gaming, watching movies and the use of apps. The television set still comes with the standard 1080p HD and also boasts a speedy 240 Hz refresh rate—a standard for modern Vizio models. With built-in Wi-Fi, connecting to the internet is easy and quick, so you can watch your favorite shows from all of the streaming services you love.